Liverpool’s Premier League and Champions League hopes were boosted by a comfortable victory against Manchester United and the draw with Bayern Munich in the first knockout round of Europe’s top club competition. Liverpool’s effortless dominance on Sunday was embarrassing for United, to the extent that the defeat proved the final straw for José Mourinho’s loveless tenure at Old Trafford. The gap between Liverpool and Manchester United in the Premier League now stands at a truly unbelievable nineteen points, and we have not even reached Christmas yet. Not for over forty years has there been such an advantage for either club at this stage in a league campaign. More records fell during the match itself, with Liverpool recording thirty-six attempts on United’s goal, the greatest number United have faced in one match since such data recording began in 2003. By contrast, United only had six, and Marouane Fellaini’s attempt on goal, if you include efforts closer to the corner flag, near the end of the match summed up not only United’s afternoon but their season as a whole to date. Now under new management, they will look forward and rebuild, but Liverpool will be delighted to have caught their greatest rivals at just the right time, allowing the Reds to progress serenely back to the top of the Premier League in their enduring battle with the transcendent Manchester City. The following morning saw the knockout draw for the final sixteen teams left in the Champions League, with Liverpool rewarded for their brilliant but nervy progress against Napoli with a first encounter with Bayern Munich since the European Super Cup final in 2001. Two clubs of similar size and pedigree, but while Liverpool are on the rise under Jürgen Klopp, Bayern are struggling to match the relentless consistency of the past six years. The gap between Germany’s giants, Borussia Dortmund and Bayern, in the Bundesliga has been cut to six points following Dortmund’s first defeat of the season, but winning a seventh consecutive league title looks likely to be Bayern’s toughest assignment yet domestically. Dortmund possess a young, vibrant team whereas Bayern’s squad is experienced, but ageing and lacking pace. These are not the qualities to take into a tie with Liverpool, who destroyed Bayern 3-0 in Germany last season (admittedly in a friendly) and exposed their lack of speed at the back, certainly when compared to Liverpool’s lightning style. The Reds have been more measured this season, but remain capable of turning the heat up when needed. No wonder Bayern have been linked with Atletico Madrid defender Lucas Hernández in recent days. Liverpool will miss Virgil van Dijk, who is suspended for the first leg at Anfield, and they cannot allow any complacency to creep in – a lot can change in a few months after all, especially for Germany’s biggest club. Nevertheless, the front three of Sadio Mané, Roberto Firmino and Mohamed Salah will be licking their lips at the prospect of creating another famous European night, as two sides with ten European Cups between them go head to head. Before Bayern however, focus shifts back to the Premier League, with Wolverhampton Wanderers next up on Friday night. Both Chelsea and Manchester City have failed to emerge from Molineux victorious this season, and Liverpool cannot afford to follow suit. Every game seems to have lost its individual significance – winning a Merseyside Derby, beating your greatest rivals, taking on a team that has claimed four points against Chelsea and City at home this season – because they have all become must-win fixtures in what could be a title battle for the ages. There has not been a title race of any kind for almost five years, since Manchester City and Liverpool last battled for Premier League glory. City have arguably the best team and squad in the world, and the best manager in Pep Guardiola, but Liverpool now have a squad that is capable of matching them all the way until May. Improvements can always be made – Klopp would probably like another attacking midfielder and defender – but the Reds have top quality players who can come in and out of the side, which is vital during the intense Christmas period and when the Champions League returns. Naby Keïta and Jordan Henderson could be in the team for one match, followed by the likes of James Milner and Fabinho for another, one example of the unprecedented depth that Klopp now has at his disposal. Premier League and Champions League? 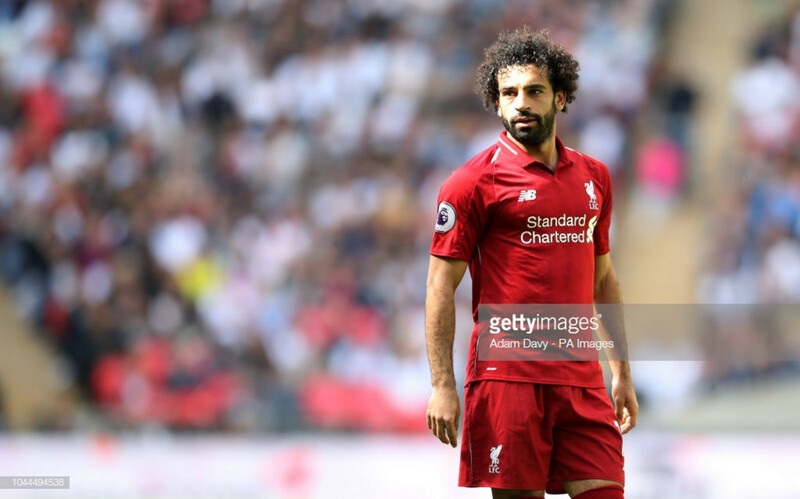 The Premier League is the priority this season – it has to be when Liverpool are trying to end a 29-year wait for a nineteenth league title, regardless of the size and glamour of the Champions League. Yet Liverpool reached the final of the latter competition in 2018, and their bolstered squad means there is no reason why they cannot go one further in 2019, even with a Premier League title challenge as well. Klopp’s greatest achievement so far at Anfield is restoring Liverpool as one of the big boys again – now he and Liverpool would love one of the big trophies as tangible evidence of this remarkable restoration.